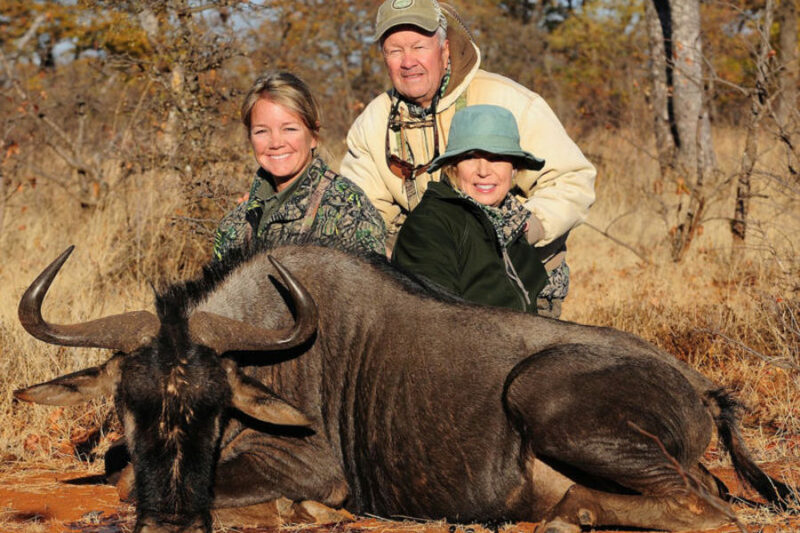 Located on the Cawston Block in South Western Zimbabwe 60km from Bulawayo on the Victoria Falls road, Rosslyn Safaris is a 30,000 acre paradise for bow hunters of all definitions and all ages. Whether you are a preferred dry season bow hunter waiting patiently for your target species to emerge in one of several well-constructed ground or tree blinds overlooking a scenic waterhole, or if you consider yourself to be a walk & stalk specialist wanting to put your skills to the test during the wet season by using the dense green vegetation as your invisible cloak, Rosslyn Safaris has it all on offer 365 days of the year! The hunting season typically begins after the annual summer rains have left the bush full of new life for the hunter to explore. 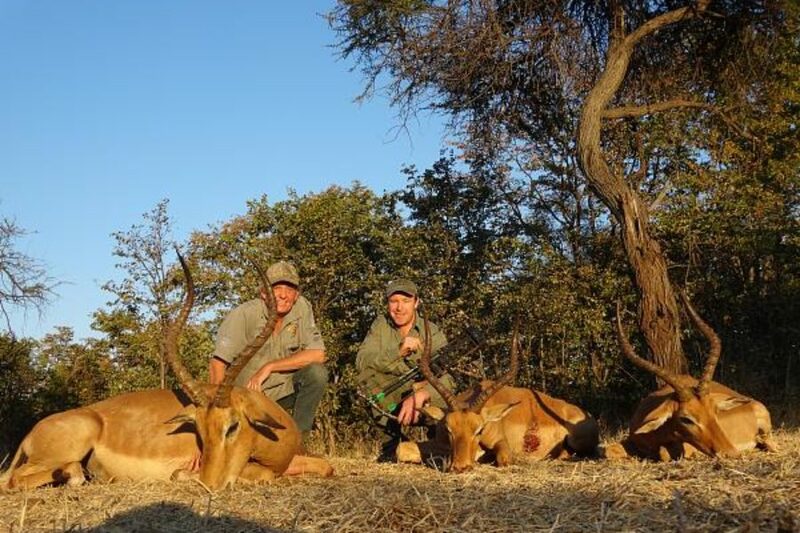 Most bow hunters will avoid hunting at this time of year due to the mental block caused by the abundance of residual natural surface water which renders all waterholes and blinds almost hopeless until the dry season. 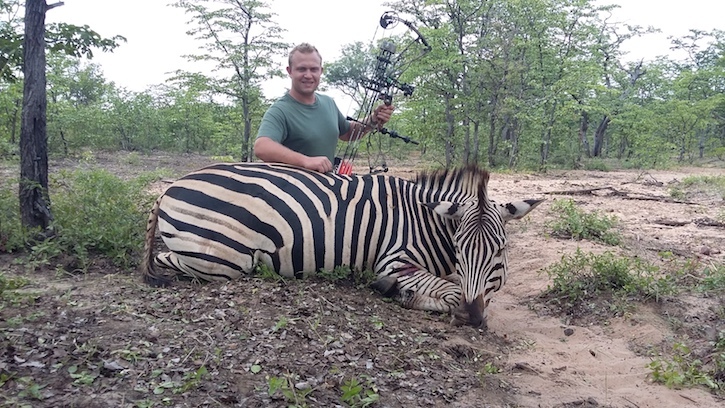 This, coupled with the bush itself being incredibly thick and almost impenetrable presents an enjoyable challenge for the hunter to firstly locate their target species under these conditions on foot, and secondly the skill of stalking into shooting range to launch an arrow into the vitals of your chosen trophy. 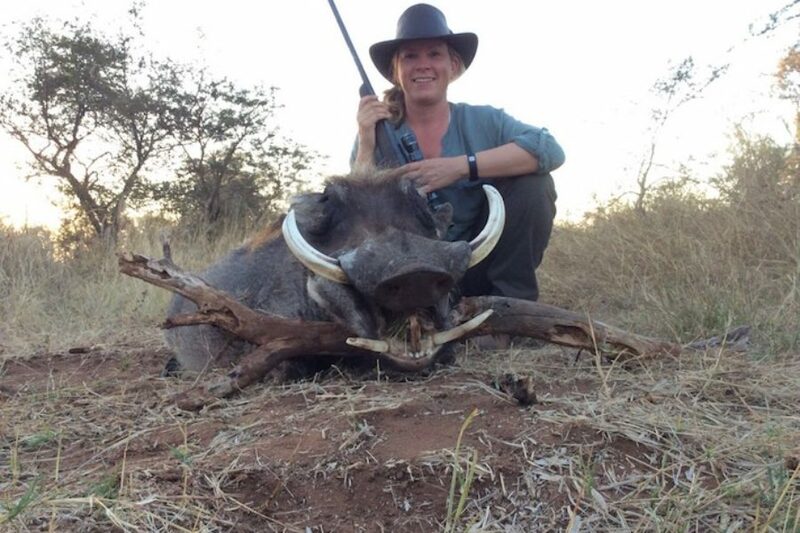 Despite this, the wet season is by far my preferred time of the year to bow hunt for several reasons. In my opinion the beauty of the bush is at its best at this time of year with new life visible in all directions as far as the eye can see. From wild flowers to newly born animals surrounded by endless greenery, it is truly the most beautiful time of year to immerse yourself and appreciate Mother Nature at her finest. It is also the prime opportunity to challenge ones skills and abilities as this time of year leaves plenty of room for hard work and reward for the walk & stalk specialist. With the blinds and waterholes out of action due to the abundance of natural surface water, the bow hunter must now engage their skills and instincts acquired over a lifetime to walk & stalk their target species on foot. Although the walk & stalk has its natural challenges and difficulties, during this time of year one can use the dense vegetation to their advantage as with the right camouflage gear it is much easier to move around the bush relatively un-noticed enabling the hunter to get in close to their target compared to the open and barren dry season. The soft undergrowth also allows for quiet movement around the bush unlike in the dry season where the noise underfoot can be compared to that of a four year old munching down on a bowl of corn-flakes! The trick is simply to put one’s self in an area that has had recent and consistent game activity and begin walking incredibly slowly upwind whilst carefully listening and looking out for any tell tail noises or signs of game. The bow hunter will also need to use all surrounding natural assets to his advantage such as glassing an area with binoculars from an elevated position such as ridges and small hills or even climbing a tree to gain vantage. The trick to the challenge of walking & stalking is practising the art of patience. 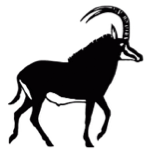 As most bow hunters will already understand, our hunt only begins at the point where the average rifle hunter would pull the trigger from which therefore can require an immense amount of patience getting into the 20m-40m range for a bow. For me personally the challenge is never about how accurately I can shoot from long distance, but rather how close I can get to the animal without it knowing I am there making the whole experience more focused on the challenge of the hunt rather than the challenge of the shot! The bow hunter can also use their knowledge of animal habits and habitats to build their own natural bush-made blinds in strategic wet season locations often found in the middle of nowhere such as a natural pan favoured by resident game in the area or even a natural salt and mineral deposit in the soils. 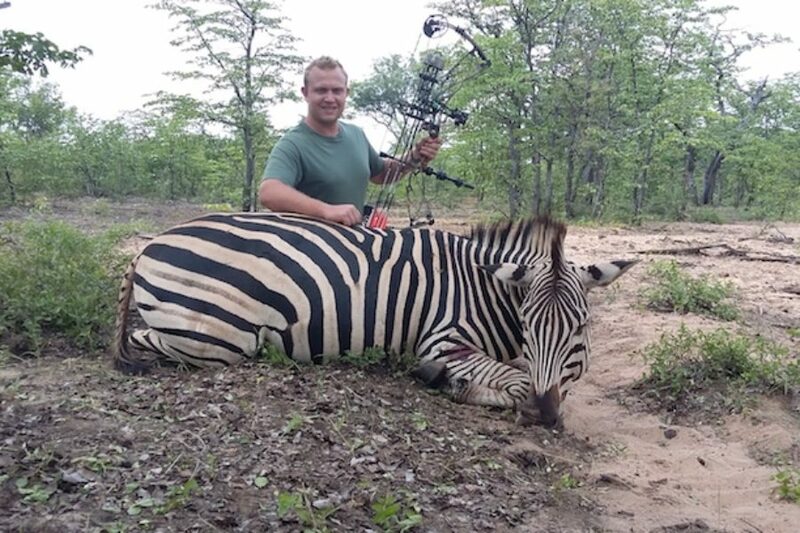 The bow hunter can also set up an open ambush position whilst hunkering and blending into in thick cover, or from sitting in a carefully selected tree all on a well-used game trail. 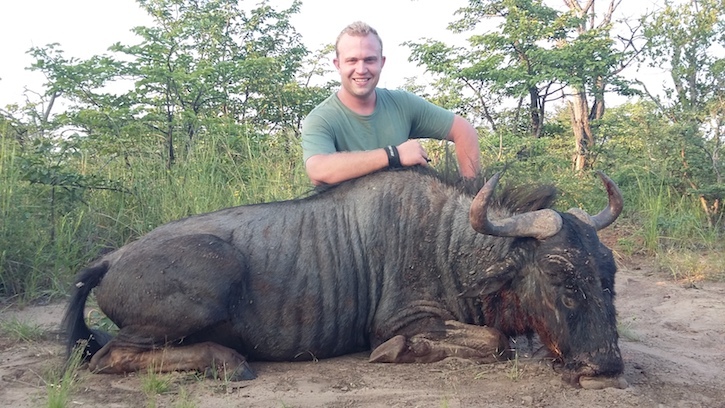 Rosslyn Safaris is one of the most suited properties in the country for wet season bow hunting as it has a remarkable diversity of game, terrain, vegetation and soils to choose between. From dense acacia thorn scrub to mopane forests, rocky ridges to scenic riverine valleys and wide open grasslands, one can traverse from one to the next in a single outing leaving the door of opportunity wide open to locate a variety of species in close proximity. 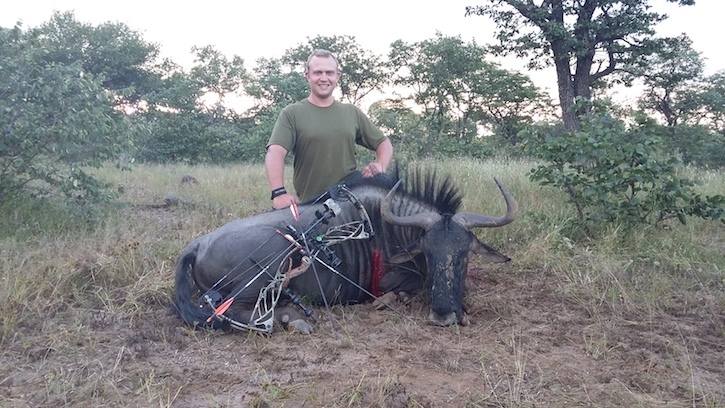 Here are a few examples of success stories during my previous bow hunt in March 2017. “The more time I spend on foot with my bow in hand, the luckier I seem to get!”. 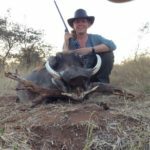 If you are a bow hunter that loves the bush and a rewarding challenge I would highly recommend heading to Rosslyn Safaris to test your skills this wet season!